More than 200,000 R129 series SLs were produced between 1989 and 2002. In this modern era of huge production numbers only a few cars have potential for becoming future collectibles. When it comes to the R129 series SL, one of the rarest variants, and therefore one of the cars with the most potential for future collectibility, is the 1997 SL500 La Costa Edition. Mercedes-Benz produced just 30 La Costa Edition cars for the 1997 model year to commemorate their sponsorship of the PGA Mercedes Championships golf tournament at the La Costa Resort and Spa in Carlsbad, CA held January 6-10, 1997. 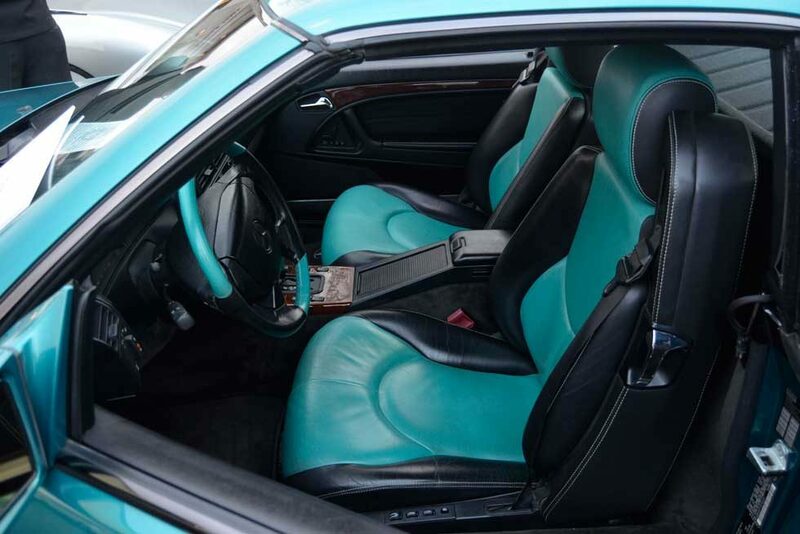 All 30 cars were painted Calypso Green (color code 279 – called ‘Vivianitgruen’ in German) and had two tone interiors of Calypso Green and Black leather. During my visit to Scottsdale, Arizona for ‘auction week’ this year I attended the Mercedes-Benz Club of America Desert Stars Section dinner and car show. That’s where I ran into R129 aficionado and owner of no less than 10% of total “La Costa Edition” production, three cars, Walt Anderson, where he was showing one of his La Costa Edition SL 500s. 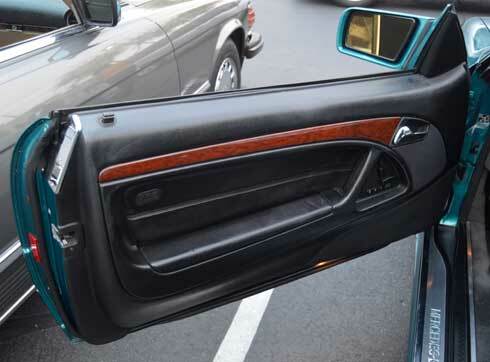 The 1997 SL 500 La Costa Edition was equipped with this two tone leather interior, custom floor mats and a special shift knob insert with the La Costa logo. Walt has researched the 1997 La Costa Edition cars at great length and keeps track of as many as he can at any given time as they come and go from the market. 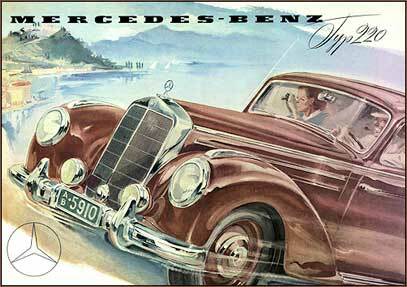 He was kind enough to share much of the information he has about these cars with Mercedes-Market, they are the sources we used for this article. The “La Costa Edition” badge appears on both front fenders, behind the front wheel, on La Costa Edition SL 500s (Photo by Walt Anderson). 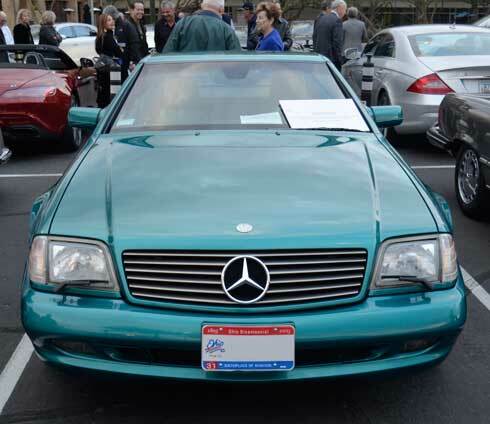 According to the press release from Mercedes-Benz USA announcing this special edition in January 1997, 25 Mercedes-Benz dealerships in the Southern California sales region were each allocated one La Costa Edition to sell. The remaining five were used for promotional purposes. One of those was given away to the public in a drawing organized by Mercedes-Benz, another was donated to a local charity, “Divine Design for their Fantasy Auction,” while the last three were retailed after being used for additional promotional purposes. Walt believes these last three were used and shown at the PGA tournament at La Costa before being sold through Mercedes dealerships. An embossed leather portfolio for books and manuals was included with all 30 1997 SL500 La Costa Edition cars (Photo by Walt Anderson). Also included with each car was a La Costa box set which included an embroidered car cover, embossed leather portfolio (to hold the car’s books and manuals), key fob, license plate and a certificate of authenticity. 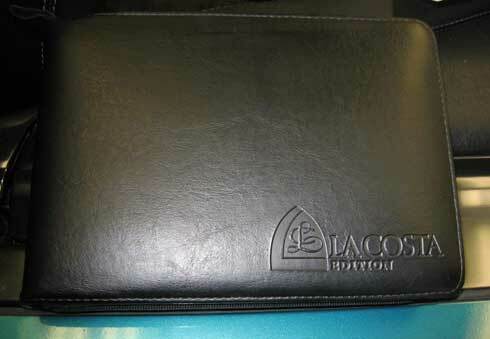 The cost of the La Costa package as it appeared on original window stickers was $5,000. The only differentiation among individual examples, seems to be ‘xenon’ headlamps, half of La Costa Edition cars were equipped with them, the other half without. 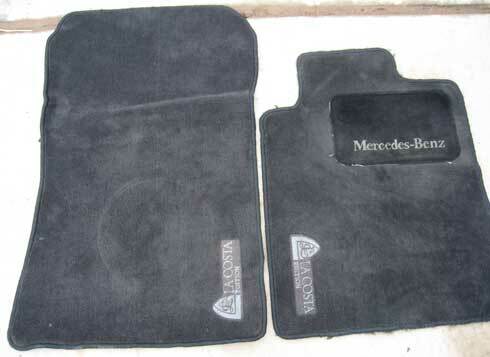 These embroidered floor mats were also unique to the 1997 SL500 La Costa Edition (Photo by Walt Anderson). 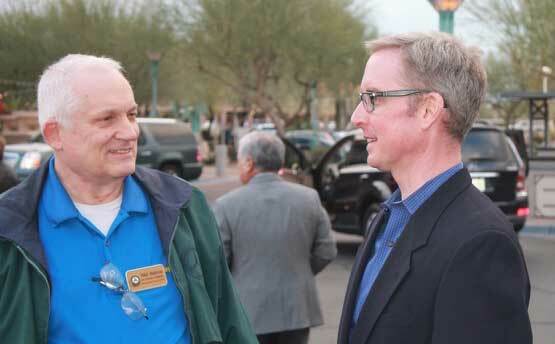 Walt Anderson and Dave Tobin discuss the finer points of the 1997 SL 500 La Costa Edition at the 2018 MBCA Desert Stars Auction Week Car Show and dinner in Scottsdale, AZ (Photo: Bud Clonninger). Walt doesn’t just show his cars. He set fastest times in his class in Time Trials, Acceleration and Autocross at the Mercedes-Benz Club of America’s StarFest in 2016 with one of his 1997 SL500 La Costa Editions (Photo: Geoffrey Bolte). Looking into the future of collectible Mercedes-Benz SLs, it will be cars like these that rise to the top of the collectability scale of mass produced cars. 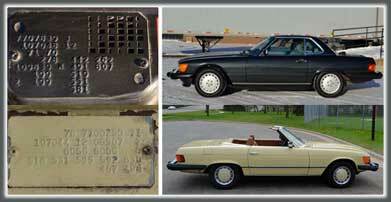 There is so little to differentiate one R129 from another, condition, miles and color will be the big factors. Additionally, special editions like the 1997 40th Anniversary SL 320 or SL 500, the 2002 Silver Arrow Edition or the rarer still “La Costa Edition,” will mean further differentiate from other R129 SLs and the best possibility for future collectability and price appreciation. 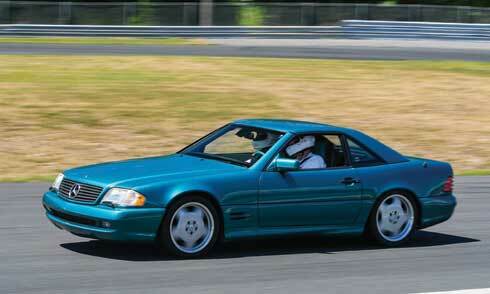 More photos of the 1997 SL500 La Costa Edition R129 below. 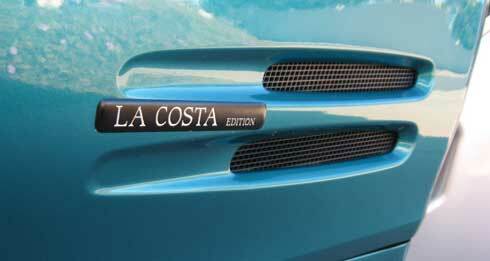 While the seats and steering wheel incorporate Calypso Green and Black leather, the door panels of LA Costa Edition cars are all black with Eucalyptus wood trim. One of Walt’s 1997 SL500 La Costa Edition cars at the MBCA Desert Stars Auction Week car show and dinner in Scottsdale, AZ – January 2018. 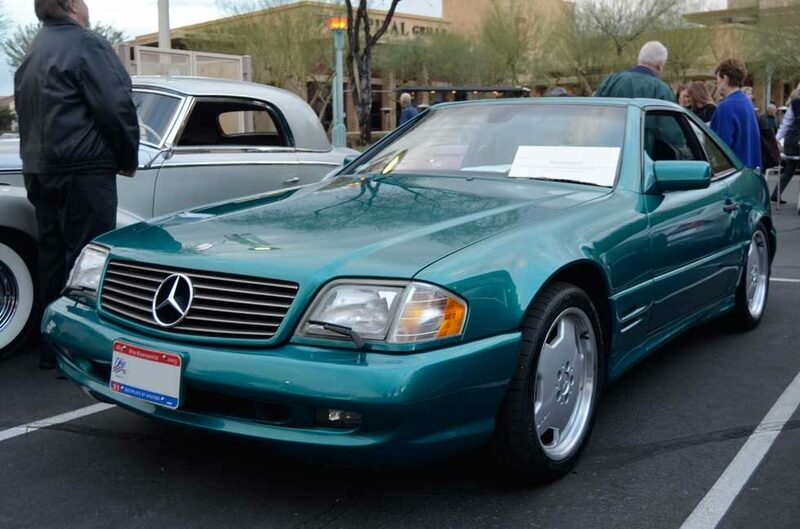 Another shot of the 1997 SL500 La Costa Edition Walt brought to the MBCA event in Scottsdale in January 2018. 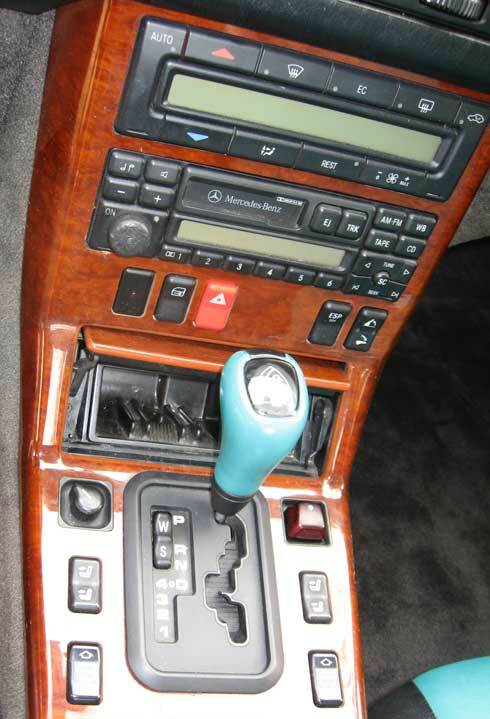 Close up of the center console of the 1997 SL500 La Costa Edition showing the Eucalyptus wood and La Costa shift knob insert, glare obscures some of the shift knob here (Photo: Walt Anderson). I was so close to buying one in mid 2017 that was listed as a private sale. I guess I know now that it was Walt Anderson who was one step ahead of me. Hi , I live in Calgary Alberta Canada I saw on of these beautiful cars here July 23 2018 .Talked to to owner and he said only one here that he knows of . Hi, Ron here. I just got Very lucky and found 1 of the 30 produced of these Amazing cars. Found it in Palm Desert Ca. I had No Idea it was 1 of 30 produced. Of Course I bought it. I thought it was a Designo when I saw the add on a consignment dealers site. I called them and they said it was blue… They had No Idea what it was, neither did I … till I drove down there from L A… that morning. Luckily I have a place in Palm Springs and have a Great mechanic, European Motor Service .. Paul is Amazing, the owner in Palm Desert Ca. Turns out European is the shop that the consignment dealer uses. I drove her down to Paul’s and he said… This Is A special Car. Coming from Paul, who has a collection of 90 Amazing Vehicles… I Paid Attention. That’s when I bought it. Mz Lacoste is still at European Motors having a little face lift. I couldn’t be happier. I’ve been in contact w La Costa Resort and they r Very Interested in the promotional value of this car. It appears, I haven’t verified this but… my La Costa is 1 of the first 5 produced… The badging reads Sport.. not La Costa. I’m told the first 5 from the factory were built before the ink had dried on the deal w MBZ n La Costa. ? Im still researching the entire screenplay. Hey Ron! 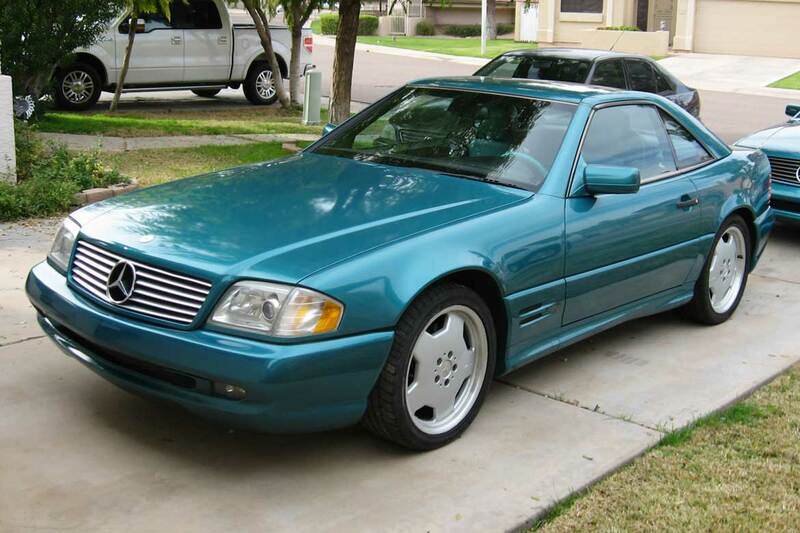 I recently bought an sl500 LaCosta as well! I would love to get in contact with you to share details with our cars. Mine is also one of the ones that have the sport badge on the side instead of the la costa badge. I have emailed you, hope to hear back soon! Mr Walt that Would be Very much Appreciated. Plz, Safe Drive home. I’ve just run across one of these and am looking at purchasing. This particular one has a Sport badge and HID headlamps. The VIN shows via Carfax that this car spent from 8/11/97 to 9/21/00 in Indiana as a Corporate Vehicle. I’m wondering if this was a corporate promotional vehicle. I’d love to talk to Walt about this car or anyone that may know some history of this VIN. I can say that this car has come up for sale and the interior and DataMB VIN breakdown had me intrigued. I also thought this was an odd Designo car while I was researching the car. Very cool history of these models. I hope I can save this one. I’ve just stumbled across one of these literally in a barn. I’m working on picking this up as we speak. This article helped me identify what I would’ve originally assumed is a Designo car so thank you for this article. This particular car shows Corporate ownership in Indiana for 4 years in the beginning of it’s lifespan making me think it was a MB Corporate car. Also making me think that is the Sport badge, instead of the La Costa badge on the fender. I’d love to know more about this car with regard to it’s corporate ownership time and if there’s someone that may know about that in more detail. Hopefully I can pick this up and save it as it’s fairly neglected right now.